I'm posting this today because in France, the holiday season officially ends January 31st. Until then decorations and crèches de noël in churches can be left up, cartes de voeux sent out, galettes des rois consumed. Wishing shopkeepers and anyone else you run into a Bonne Année will be considered tout à fait normale and, as the month wanes, "It's still January!" ("C'est encore janvier!") might be added. Like now. Christmas Day with its magnificent sit-down lunch is bigger than New Year's Day or even La Fête des Rois, January 6th. 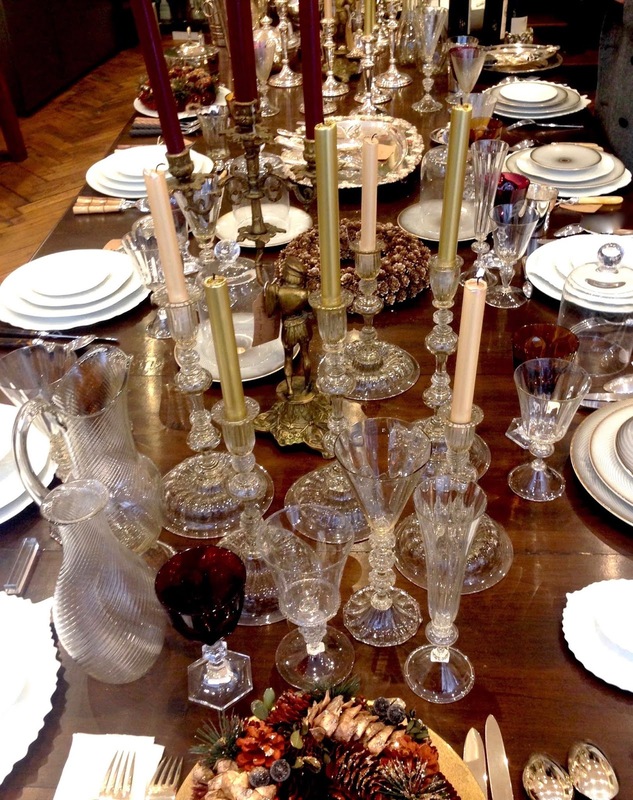 Celebrated mostly among family, it's an occasion to dust off that wedding gift or heirloom china, crystal, and silver, and when the pre-lunch apéritif, usually in the living room, is taken into account, it can easily run into five hours. At the end of the meal, a digestif (to help digestion, as its name implies) will also get its own glass.